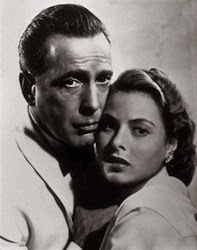 Turner Classic Movies (TCM) has unveiled the complete list of 20 cities that will be treated to a free theatrical screening of classic Casablanca (1942) on Tuesday, March 4. Nearly 10,000 fans voted to help choose 10 of the markets that will host screenings, with the most votes going to Baltimore, Buffalo, Dallas, Houston, Los Angeles, Minneapolis, New York, Orlando, St. Louis and San Diego. Those cities join the previously announced screenings in Atlanta, Boston, Chicago, Denver, Detroit, Miami, Philadelphia, San Francisco, Seattle and Washington, D.C. Presented in collaboration with Warner Bros., TCM's 20-market screening of Casablanca is one of many events surrounding the celebration of the network's 20th Anniversary as a leading authority in classic film. Although the screenings are free, tickets are required for entrance. Free tickets are now available for download from the TCM 20th Anniversary website: tcm.com/20. * Seating is limited. Entry will be on a first-come, first-served basis. Tickets do not guarantee entry. Casablanca is Warner Bros.' Oscar®-winning wartime romance. Widely regarded as one of Hollywood's greatest films, the movie stars Humphrey Bogart, Ingrid Bergman, Paul Henreid, Claude Rains, Sydney Greenstreet and Peter Lorre. In Casablanca, Bogart plays Rick, a nightclub owner who gets involved in smuggling refugees out of Vichy-controlled Casablanca. Bergman is Ilsa, the woman he once lost and who is now seeking to escape the Nazis with her husband, Victor (Henreid). And Rains is the corrupt police inspector whose loyalties are hard to place. Casablanca earned eight Academy Award® nominations, winning Oscars for Best Picture, Best Director (Michael Curtiz) and Best Screenplay (Julius J. Epstein, Philip G. Epstein and Howard Koch). Fans who want to own this treasured film will be glad to know that an elegantly packaged gift set edition, Casablanca 70th Anniversary 3-Disc Blu-ray + DVD Combo Edition is available for purchase. The limited and numbered collection contains almost 14 hours of bonus materials, with five comprehensive documentaries, commentaries and collectibles that include a 60-page production art book with never-before-seen photos, personal memos and archival documents, a reproduction of the original 1942 film poster and a set of four drink coasters. In addition, Casablanca is available as a single-disc Blu-ray or Special Edition DVD, as well as being offered as part of a Blu-ray Double Feature with African Queen, and included in the Best of Bogart Collection.